Welcome, explorer! 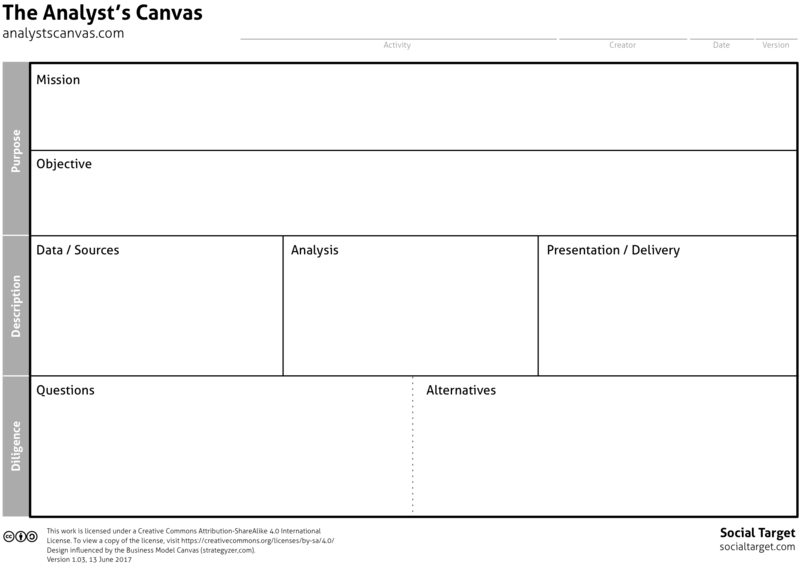 This page has the first public version of The Analyst’s Canvas, a tool for defining, selecting and communicating analytical products and services. 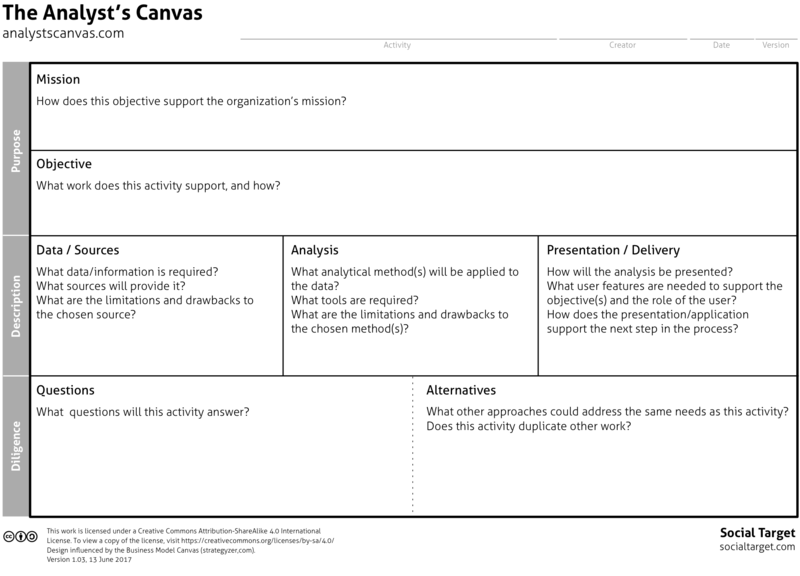 The canvas frames data and analytical methods in the context of the work and mission they support, while avoiding the use of terminology that implies a preferred approach. As I write the longer explanation, I invite you to try it in your environment. Once you do, please provide your feedback on what you tried and how it worked. You’re welcome to continue using the canvas after your test, but do watch this space for revisions. If you’d like to keep up with the project’s progress, join the mailing list. The Analyst’s Canvas is one of three frameworks for exploring opportunities to create more value from data and analytical methods. The other two are more future-oriented and ambitious. More philosophy than theory, Omniscience is a challenge to think about more of what matters and what we can know about it. The vision is to use our intelligence systems to make connections across existing information sources that are separated by scope and timeframes. First draft coming soon.